RT21 have the big body than the others,so that take it outside and no worry about the fall apart. RT21 have the high-gain antenna,not need to order the replacement because worry it will fell apart. RT21 have the solid shell and belt,not worry the belt broken so that walkie talkie falls. RT21 have the superior cell and keep great transmission for a long time using. The scrambler feature provides enhanced security for your important public safety and private security communications. Suitable for hotels, restaurants, construction sites, factories, etc. 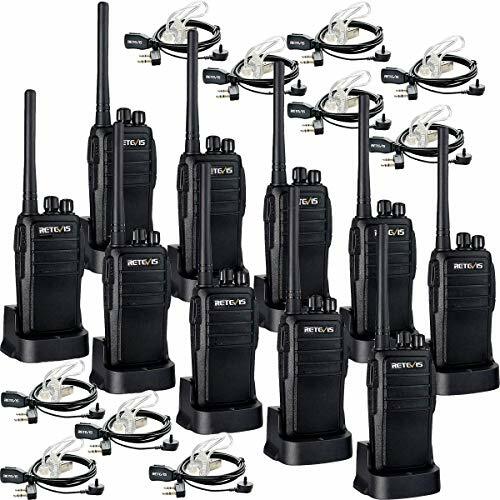 Note:If you have the H-777 walkie talkie, you also want to order another great radio to work with the H-777,please buy RT21 with confidence,they have the same frequency out of the box. If you have any questions about this product by Retevis, contact us by completing and submitting the form below. If you are looking for a specif part number, please include it with your message.